Our radiology specialists are experts in working with children to get the right image with as little radiation as possible. Our goal is a positive experience for you and your patients. A physician's office can schedule a patient appointment directly with Children's, or the family can contact Children's directly to schedule an appointment. Option 1: Faxing. A report can be automatically faxed to a specific number after the report is authenticated by the radiologist. If you do not receive it, call us at 404-785-2162 or 404-785-0122 for a faxed result. We will need patient’s name, test, date of service, name of physician and fax number. Option 2: accessCHOA. A report can be accessed via the Internet through accessCHOA, which provides tools to manage access to patient information. You can receive customized notifications on patient events, including admissions, discharges, and lab and imaging results. Option 1: Picture Archival and Communications System (PACSLink). We use PACS to store and retrieve images. Using PACS, images can be simultaneously shared with multiple medical staffs. You can access PACS images by remote access and view images in your office. Contact the Children’s Solution Center to obtain EPIC access at 404-785-6767. Option 2: Picture Archival and Communication System (PACSWeb). Launch PACSWeb on the Internet to access images and results. 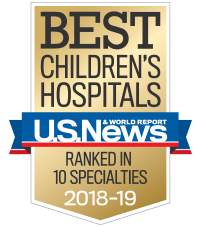 Contact the Children’s Radiology department IS staff at 404-785-7456 to request remote access and training materials. If you would like the radiology department to send a pad of our custom order forms to your office, simply fill out the order pads re-order form. Children’s is pleased to provide precertification services for radiology procedures requiring prior authorization. If your practice will furnish us the necessary information, our team of insurance verifiers will attempt to obtain any required authorization on behalf of Children’s. Precertification is available to all physicians and their patients and seeks to make ordering of outpatient radiology exams simple, with the goal of treating pediatric patients in an environment specifically tailored to their imaging needs. After completing the form, email it to radprecert@choa.org or fax to 404-785-9268. For information on the precertification status, call the Patient Access Supervisor at 404-785-5478 or the Patient Access Team Lead at 404-785-7395. There are no assurances that preauthorization will be obtained.